The timing is right for Canada’s plant-protein sector to step into the global spotlight. 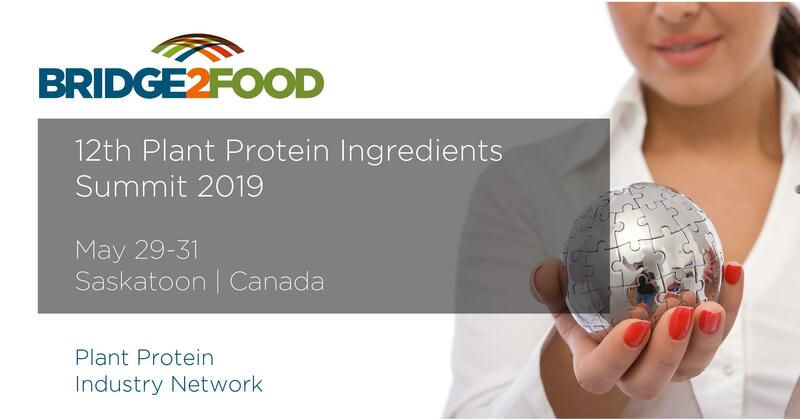 The Plant Protein Ingredients Summit in Saskatoon May 29 to 31 offers an unprecedented opportunity for Canada’s industry to receive some international recognition, learn from seasoned players on the global food stage, and network with possible collaborators. “Canada has all the potential to become a leader. 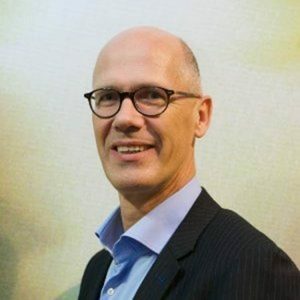 At the moment they are a leader in raw material supply but they’re not the leader in unique plant-protein ingredients,” says Gerard Klein Essink, CEO of Bridge2Food, organizer of the summit. Bridge2Food, a food conferencing and networking firm based in the Netherlands, normally holds its summits in Europe. The meeting in Saskatoon, and a companion summit in June in Calgary, are the first such summits in North America. “This is the right moment to bring our networks to Canada, and to help Canada develop the business and diversify. The timing is right. We were ready for it and Canada is ready for it,” says Klein Essink. The Saskatoon summit is aimed at participants involved in raw materials, ingredients, research and technology. Many presenters and registrants will have research or innovation backgrounds. 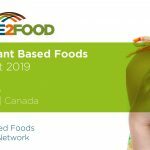 The Calgary summit is focused more on the retail and food service consumer side of the plant-protein chain. Saskatoon will feature speakers from companies and institutions including Nestle, Roquette, Unilever, several universities, Pulse Canada, Protein Industries Canada (PIC), as well as smaller enterprises such as Oatdeal. A three-track structure lets registrants choose sessions in new plant-protein ingredients, new processing technology or new plant-protein applications. While the speakers and experts provide inspiration and insights on strategy, much of the benefit to producers and entrepreneurs will also be in networking with potential partners and market players. “When you’re a startup it’s very important you have access to market. In Saskatoon, there will be lots of food companies who are needing your ingredient. You will be able to get contact with leading customers plus other suppliers who can help you in your business,” says Klein Essink. Another opportunity the summit affords is a chance to provide a showcase for Western Canada’s plant-protein bounty. Bill Greuel, CEO of the federal supercluster Protein Industries Canada, is anxious for the big players from Europe and the U.S. to learn about Canada’s potential. 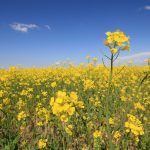 “Once you get outside the borders of Western Canada, very few people realize and recognize the opportunity and endowment we have from a plant-protein perspective,” says Greuel. 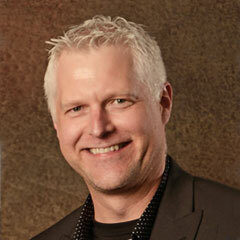 PIC is a partner in the summit and Greuel will speak at both Saskatoon and Calgary. A federal infusion of dollars into the protein supercluster is another factor in the timing of the summits. “I’m going to talk about our vision for what the supercluster should be in terms of how we want companies to be interacting with one another and the benefits we see with enhanced collaboration across the private sector,” says Greuel. Research, science and technology will feature prominently in Saskatoon. Lingyun Chen, professor in the University of Alberta’s department of agricultural, food and nutritional science and Canada Research Chair in Plant Protein Structure Function and Nutraceutical Delivery, is a keynote speaker and one of several researchers attending the conference. 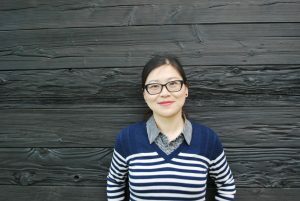 Chen will speak on her research on oat and fava bean protein. But she also wants to meet industry people. “I know most of the colleagues at the universities but also I want to connect with Alberta, Saskatchewan and Manitoba industry partners, and let them know what we can do for them, what kind of service in terms of protein analysis, in terms of development we can do with them,” she says. The conference should allow researchers and industry to come together to identify common challenges for the industry, she says. Prairie entrepreneurs and producers will also get a chance to network with international suppliers and technology companies. ST Equipment and Technology is a processing technology company based outside Boston hoping to interest the plant-protein sector in Western Canada in its dry electrostatic separation for fine powders technology, says Kyle Flynn, the firm’s director of business development. “There’s been a lot of research done at the bench scale where researchers in universities will take 10 grams of plant-protein powder and they’ll grind it up and do a very small-scale electrostatic test, a dry fractionation test, and they’ll see some movement of protein one way or the other. They’ll have a protein-enriched product,” says Flynn. “But the challenge becomes scaling that up. Our technology allows an opportunity to do that,” he says. The firm has attended Bridge2Foods summits in Europe. Klein Essink has high hopes for the Canadian summits. Kathy Kerr, a former business and deputy editor at the Edmonton Journal, is a freelance journalist.